When die-hard music fans hear that their favorite performer is canceling a gig, it’s a big disappointment—especially if the excuse seems less than earth-shaking. Recently, British pop sensation Dua Lipa needed to drop two dates from her world tour with Bruno Mars. However, she had a very good reason. A number of issues can cause impacted wisdom teeth, including a tooth in an abnormal position, a lack of sufficient space in the jaw, or an obstruction that prevents proper emergence. 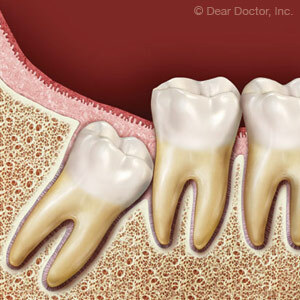 The most common treatment for impaction is to extract (remove) one or more of the wisdom teeth. This is a routine in-office procedure that may be performed by general dentists or dental specialists. It’s thought that perhaps 7 out of 10 people ages 20-30 have at least one impacted wisdom tooth. Some cause pain and need to be removed right away; however, this is not always the case. If a wisdom tooth is found to be impacted and is likely to result in future problems, it may be best to have it extracted before symptoms appear. Unfortunately, even with x-rays and other diagnostic tests, it isn’t always possible to predict exactly when—or if—the tooth will actually begin causing trouble. In some situations, the best option may be to carefully monitor the tooth at regular intervals and wait for a clearer sign of whether extraction is necessary. So if you’re around the age when wisdom teeth are beginning to appear, make sure not to skip your routine dental appointments. That way, you might avoid emergency surgery when you’ve got other plans—like maybe your own world tour! Teeth damaged by decay, periodontal (gum) disease or trauma are often removed (extracted) if they’re deemed beyond repair. But there’s another reason we may recommend an extraction: a tooth is causing or has the potential to cause problems for other teeth and your overall oral health. Some of the most frequent cases of “preventive extraction” involve the third molars, or wisdom teeth, located in the very back of the mouth. They’re usually the last permanent teeth to come in, which is related to some of the problems they can cause. Because they’re trying to come in among teeth that have already erupted they don’t always erupt properly, often at abnormal angles or not fully erupting through the gums, a condition called impaction. Impacted or misaligned wisdom teeth can put pressure on adjacent teeth and their roots, which can cause root resorption that damages the second molar. They can also increase the risk of periodontal (gum) disease in the gum tissues of the second molars, which if untreated can ultimately cause teeth and bone loss. Because of current or possible future problems with wisdom teeth, we often consider removing them at some early point in the person’s dental development. Such a consideration shouldn’t be undertaken lightly, since wisdom teeth extraction is often complex and fraught with complications, and it usually requires a surgical procedure. That’s why we first conduct a comprehensive examination (including x-ray or other imaging to determine exact location and possible complications) before we recommend an extraction. If after careful analysis an extraction appears to be the best course, we must then consider other factors like planned orthodontics to determine the best time for the procedure. Once performed, a wisdom tooth extraction can resolve existing problems now and reduce the risks of gum disease or malocclusions in the future. When it comes to wisdom teeth, removing them may be in your or your family member’s best interest for optimal dental health. How odd is it for a 41-year-old to have wisdom teeth? Actually, not that odd at all. While it is true that wisdom teeth are often removed, there’s no one-size-fits-all approach to this. It all depends on whether they are causing problems now, or are likely to cause problems in the future. The trouble wisdom teeth cause is related to the fact that they are the last molars to come in, and that molars are large in size. By the time wisdom teeth appear between the ages of 17 and 21, there often is not enough room for them in the jaw. Sometimes it’s because you may have inherited a jaw size that’s too small for your tooth size; and generally speaking, the size of the human jaw has evolved to become smaller over time. If room is lacking, the adjacent molar (that came in earlier) can interfere with the path of eruption — causing the wisdom tooth to come in at an odd angle. The wisdom tooth can hit up against that other tooth, possibly causing pain or damaging the adjacent tooth. This is known as “impaction.” Sometimes the wisdom tooth breaks only partway through the gum tissue, leaving a space beneath the gum line that’s almost impossible to clean, causing infection. A serious oral infection can jeopardize the survival of teeth, and even spread to other parts of the body. If a wisdom tooth is impacted, will you know it? Not necessarily. A tooth can be impacted without causing pain. But we can see the position of your wisdom teeth on a dental x-ray and help you make an informed decision as to whether they should stay or go. If removal is the best course of action, rest assured that this procedure is completely routine and that your comfort and safety is our highest priority. 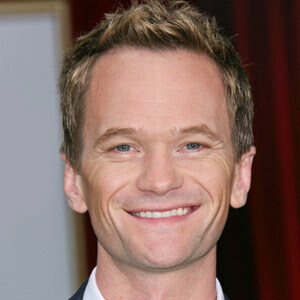 If there is no great risk to keeping them, as Neil Patrick Harris has done, we can simply continue to monitor their condition at your regular dental checkups. It will be particularly important to make sure you are reaching those teeth with your brush and floss, and that you keep to your schedule of regular professional cleanings at the dental office. All healthy teeth are indeed worth treasuring.